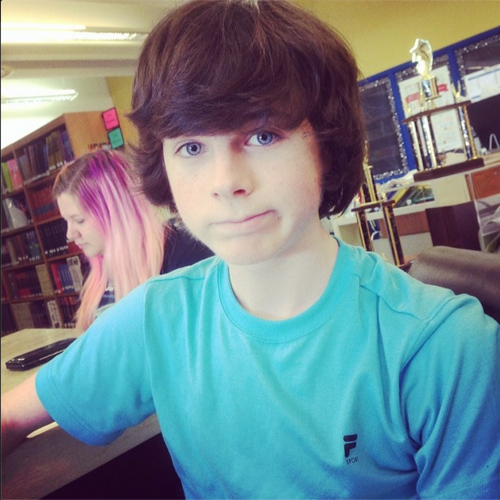 Chandler selfie :). . Wallpaper and background images in the Chandler Riggs club tagged: chandler riggs 2014 instagram selfie. 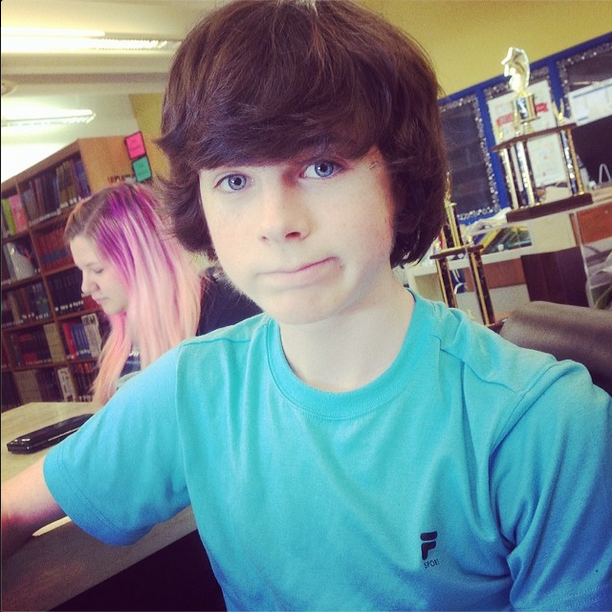 This Chandler Riggs photo might contain buchhandlung, bücher, bücherstand, athenaeum, atheneum, lesezimmer, and lesesaal.